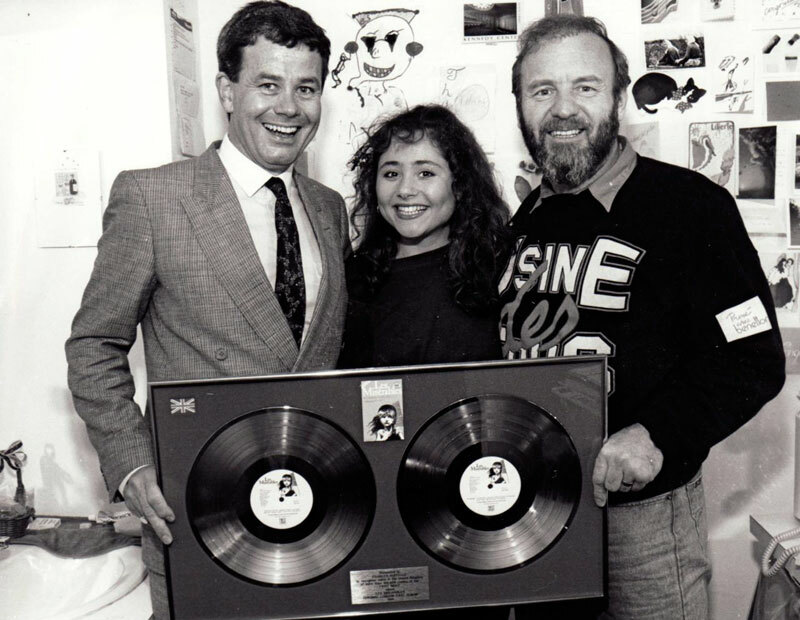 The roots of First Night Records and its formation by music business veterans John Craig and Tony Edwards can be traced back to their 1984 release on record — itself an award winner and major chart success — of the Olympic Gold Medal music of ice-dancers Jayne Torvill and Christopher Dean. 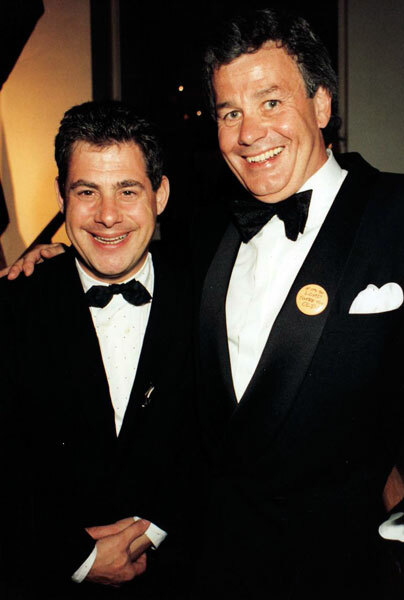 It introduced John and Tony to the orchestrator of those routines, Michael Reed, who was then the Musical Director at the London Palladium and conducting, despite an already lengthy run, the still unrecorded production of "Singin’ in the Rain" starring Tommy Steele. The show became John and Tony's first Cast Album Recording. Both avid theatre-goers and quick to enjoy this new musical direction they enthusiastically sought out other shows, and Cast Recordings of the 1985 productions of “Jerome Kern Goes to Hollywood” and “Are You Lonesome Tonight?” soon followed. In October 1985 Les Misérables produced by Cameron Mackintosh, premiered at London’s Barbican Theatre to extremely downbeat and negative reviews. Edwards and Craig had nevertheless been so entranced in listening weeks previously to an early French version of the musical that they had already pledged to Mackintosh that they would record the show “regardless of run or reviews”. It was a costly proposition, and at the time there was no guarantee that following its limited run at the Barbican the show would transfer to the West End. The recording went ahead. 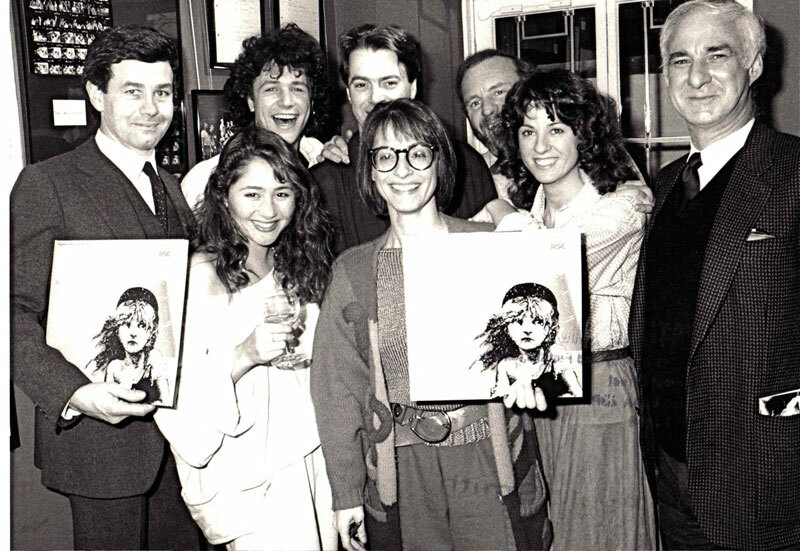 Les Mis did transfer, and on its opening night at the Palace Theatre in early December the Original Cast Recording was on sale in the theatre. First Night Records had been born. Ecstatic word of mouth continued to gainsay those initial “Les Glums...” reviews and a first miserable ship-out to the retailers morphed into an inward armada of Les Misérables repeat orders. Today, many times platinum, it is still First Night Records’ best-selling album. During those years we have recorded every show that Sir Cameron Mackintosh has produced in London including Miss Saigon, Oliver (1994 London Palladium production), Follies, My Fair Lady, The Witches of Eastwick, Martin Guerre, Mary Poppins, the live recording of the 2009 production of Oliver! featuring Rowan Atkinson and Jodie Prenger, recorded at the Theatre Royal, Drury Lane, Les Misérables Live! 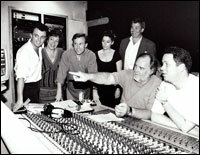 – the 2010 recording of the new 25th Anniversary Production of Boublil & Schönberg's classic musical and most recently, Betty Blue Eyes. We have worked with almost all West End and International Producers establishing long and lasting relationships with them. We have the respect of Equity and the confidence of actors and actresses in recording their performances for a First Night Records release. 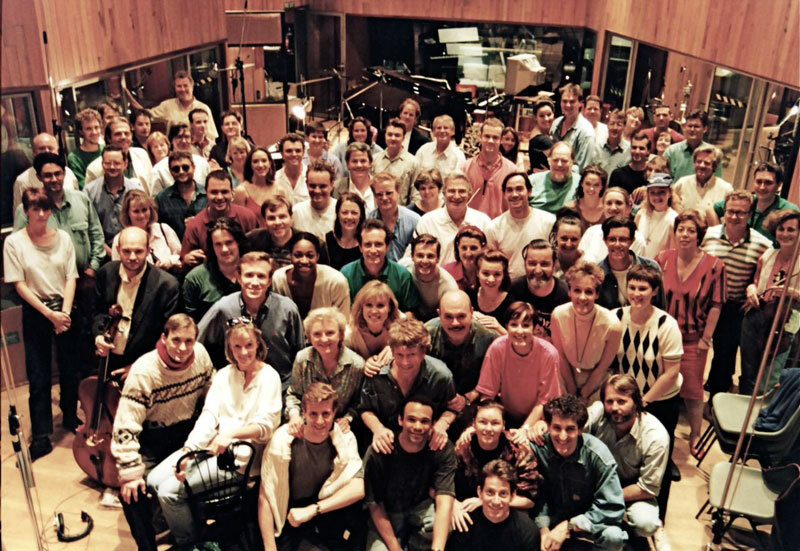 We have recorded well over 150 productions; some small or medium – Gigi, Blood Brothers, Richard Stilgoe and Peter Skellern’s Who Plays Wins – others large – Buddy, City of Angels, Kiss of the Spider Woman, South Pacific – and still others very large – The Complete Symphonic Les Misérables with the Philharmonia Orchestra and a cast of over 100 actors, recorded during 1988 in London, New York, Nashville, Sydney and Los Angeles, which incidentally went on to win a Grammy. We have forged personal relationships with television presenters, broadcasters and press who together with major retailers all enjoy the preview evenings that we mount for new productions. We run First Night Records and the Cast Collection from our own small mews building in London’s West End, close to the BBC and in the shadow of the BT Tower. along with a selection of download-only releases from our archives available from the iTunes Music Store, Amazon and other digital outlets, or listen online via the Spotify® streaming service. The Cast Collection is particularly well known to theatre-goers, its advertising a regular feature in theatre programmes.